Do you want to give your house a new look or freshen up the existing look and curb appeal? White Siding and Windows Co. can help make your vision a reality. We are conveniently located in Bucks County, PA and also service the surrounding areas. 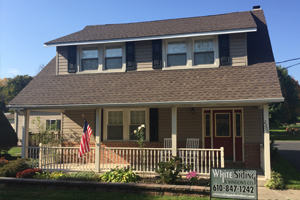 We specialize is much more than just siding, windows, and doors, we pride ourselves on being able to tackle any exterior renovation or exterior home improvement project that a customer may need or desire. From gutters to siding, windows, and doors, we can be a homeowner’s complete exterior home improvement solution. With more than 36 years experience serving the Bucks, Montgomery and Lehigh County, PA area, we get the job done right the FIRST time. EVERYTIME! We install among the finest siding to add long lasting beauty with a huge selection of colors and styles for your home, while insulating and sealing out the elements. 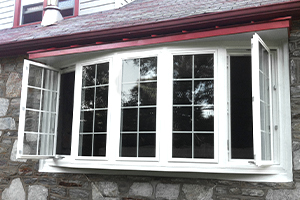 We offer a complete selection of vinyl replacement windows from Simonton Window Co. and Viwinco Window and wood windows from Andersen. 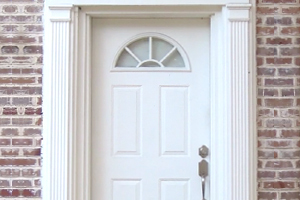 We offer an expansive selection of steel and fiberglass entry doors from HMI Doors, prefinished in any color some with true to life wood grains. Contact us with any questions, or to receive a Free Quote! Visit our partner to get pre-approved for financing for your project!